HIGHTECHHOLIC: The easiest way from PDF to WORD document. 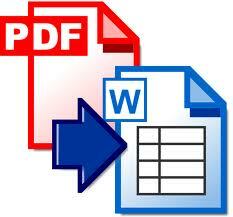 - Chose the PDF file you want to convert. - To download the word file click on the blue text "click here". Now you can use and edit the PDF document in Microsoft Word.